Make a conscious decision to start your day with a smile, no matter what is going on in your life. Every day you greet everyone you meet with a smile. Showing up in the world with a joyful heart as you go through your day will bring more of that back to you. Greet the grocery clerk with a smile, hold the door open for someone with a big smile on your face. When you get together with your friends and family show up with a smile of joy to be with them. A smile goes a long way. 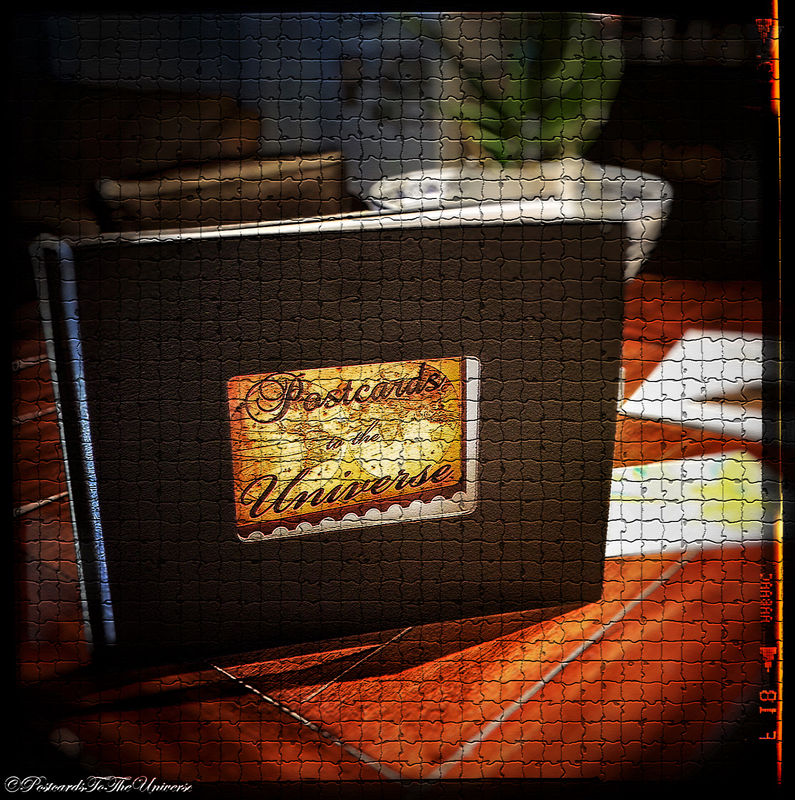 Create a Manifesting Postcard. A Manifesting Postcard is a lot like a vision board but smaller. Take one thing you want to manifest in your life and look for images that resonate with that desire. You can find them on the internet or in magazines. Take those images and paste them to your postcard. Then mail them out to the Universe. Take a photo of your Postcard and make a copy, print it and put it somewhere you can see it on a daily basis.You are wanting to go on your dream vacation. Find images you can use of where you want to go and paste them on your postcard. If you’re feeling a little artistic you could even draw or paint the place you want to visit. Get into the creating to add more energy into it. Use your Manifesting Postcard to help you in imagining what it is you desire. Another good way to visualize is by getting into a comfortable place and go through your desire in your head and feel all the feelings of what it would be like to have what it is you want. Imagine what your new house will be like. What is your address? What does your bedroom look and feel like? How are you feeling as you are cooking in your kitchen? See all your family and friends there enjoying it with you. Start a 30-day gratitude challenge for yourself. Each day make a conscious decision you are going to look for things specifically in your daily life to be grateful for. You could even give yourself a theme each week. One week could be health, one could be finances, one could be relationships, etc. Each day you look for those things you already have that you are grateful for. A fun exercise to do is use your camera phone. As you go through your day you could take an image of those things you come across and take a snapshot. In 30 days you will have a gratitude journal full of manifesting images. Declare and affirm what you want. Write it down on post-its. Put them on your mirror, all over your house, in your car. Places you will see them every day and repeat these to yourself as much as you can throughout the day. You could say to yourself, “My body is healthy and taking care of me” or “I have money flowing to me on a daily basis.” Make them short and simple for you to remember to say to yourself over and over. A daily meditation and mindfulness practice helps us get into the space of feeling calm and peaceful and is a wonderful way of attracting more of what we desire in our life. Each morning start your day with a few minutes of slow breathing exercises. It’s also a wonderful way to end your day before bed. If you like doing guided meditations there are many you can follow along with using a meditation mp3. There are also tons of free ones on YouTube. Each day write down ten to twenty things that would bring abundance to your life. The goal is to get to 500. It gets harder as you go on this list but what it does is force you to think outside the box to find things of abundance surrounding you. Start simple with daily things that show up in your life. Then take it to the next level and write down everything you could ever possibly want. You could write down what its like to own that castle in Ireland if you want. Don’t’ hold back. Become a taskmaster in your life. Each day set yourself 3 to 5 tasks that you will accomplish that will help you achieve your desire. When we have something we want to accomplish and we see all the steps it takes to get to that goal we become overwhelmed. By giving ourselves just a handful of tasks a day it becomes easier and easier to reach our goal. You could decide that in five years you want to retire but to get there you must accomplish many steps. So you take on a few each day that will help you reach your retirement. Sharing your visions for your life with others is a great way to declare what it is you want. But here we have to be careful with who we share. Some people like to shoot down our dreams and visions, while others are our biggest cheerleaders. So choose wisely with your people. But do share with at least one person what you desire. Ask them to hold you accountable. Have them check in with you on the steps you are taking to manifest your dream. Talismans are used to attract things to us that we want. Find a crystal that resonates with you. You can charge the stone under the full moon to help with your desire. Or research an oil that helps you and anoints your stone. Find a beautiful pouch and keep that stone with you at all times. You could keep it under your pillow to help in your sleep state. You could do this with jewelry too that you wear on a daily basis. I like to use the moon to help me charge my stones before I use them. I learned this from Louise Hay of Hay House. What you do is sit in front of a mirror every day and look at yourself in your eyes and tell yourself how much you love you. This is difficult work and at first may feel very uncomfortable. Stick with it. Try to do it first thing in the morning before you get yourself all ready to go out. This is who we are and it is time we embrace all of ourselves, flaws and all. By doing it before we are showered, dressed and have makeup on we have a chance to really see ourselves and learn to be more loving. Make it simple, write down a handful of affirmations that are most important in simple sentences and speak those into your eyes. And for the rest of the day each time you pass yourself in the mirror you are not allowed to criticize yourself for anything. You must give yourself a compliment. Make it a habit. Instead of watching the news or tv shows filled with violence or aggression find tv shows or stations and books that are filled with inspiration. Find podcasts with people sharing inspirational tips and tools that will help you. Listen to 12Radio for inspirational messages on a daily basis. I love Audible, each week I listen to a different author as I am going about my day. What I love most about them is when I am driving. It makes being stuck in traffic much more pleasant. Music is a powerful motivator and energy shifter. When you play happy music it causes your energy vibration to go up and give you the feeling of happiness and joy. You are raising your vibration. Blast inspiring music as you do your household chores or in your car. It makes them more fun. Become acutely aware of your thoughts, messages, and speech as much as you can. We don’t realize how much our thoughts and the things we say are completely opposite of what it is we say we want. We have thousands of thoughts a day, becoming aware of them is the first step to changing our life for the better. When you have a negative thought come in your head or especially if you speak it – say to yourself, “cancel, cancel, delete!” Then replace it with an affirmative message of what you want. Sometimes we put too much emphasis on what we see in the world. We get bombarded with negative images and news. We see people constantly posting terrible things on social media. It is easy to change that. First, you must have faith in the positive that is all around the world. You must believe that there is positive to be found and then you take the steps to contribute to those positive things. Stop complaining. Share uplifting stories on your social media and show joy for others who are accomplishing great things. On a post-it or piece of paper tape a dollar bill. Find places throughout your day to hide the money. Public bathrooms, grocery stores, farmers markets, bookstores, etc. Attach a positive message to the note to be found by a random person. For example, you could write “This is Happy Money, Enjoy.” You can get creative in your messages. Affirm this money will come back to you then leave. Do this a few times a month to spread some joy. You could pay for the person’s coffee behind you in line just because you feel like it. Or you could buy a random stranger lunch, the possibilities are endless. Do the same thing as above except instead of doing it with money leave joyful inspiring messages everywhere you go. Go to the store and buy some cards and write lovely messages and leave them in random places. You could write a message that says, “you are loved” or “you are an amazing person.” Anything you can think of that will bring some joy to someone else. Get rid of everything that no longer serves you. Every thought, habit, fear, resentment, anger, rage, jealousy, etc. Just chuck it out of your life. That also includes relationships that are no longer serving you. Every person who you are still attached to that isn’t contributing to your life needs to go. You don’t have to completely sever the relationship but you can definitely limit contact. It’s your life, why would you want things that are hindering you? Every time you take a shower or a bath, spend that time sending love and gratitude to your body. Instead of criticizing yourself for being too fat, thin, flabby, saggy, lumpy, (fill in the blank) you are going to thank each part of your body as you lovingly cleanse yourself. Thank your legs as you wash them for supporting you and taking you on your day. Thank your stomach for nourishing your whole body with sustenance. Thank your face for presenting itself to the world and being uniquely you. You get the idea. Break it down and appreciate how your body supports you on a daily basis. – Make this part of your regiment. Do the same when you brush your teeth and your hair. Do this every day! Your body will thank you! What do you want to manifest by the end of the month? Now write down as many examples as you can think of as ways that this can come to you. The crazier the better! For Example – You receive a check in the mail from your Uncle Herby who left you 10 Grand in his will. You think, “who is Uncle Herby? I don’t know who that is. Could this be for me?” And you come to find out you had an uncle who was a recluse in Alaska who lived in a cabin and had no other family. His lawyer tracked you down and you received a check for the money you requested. This game will get your imagination flowing and open you up to new ways of receiving. Instead of dreading paying your bills, thank them for supporting you in your life. Thank your mortgage/rent for having a roof over your head. Thank your car for getting you around. Thank your utilities for water, heat, AC. You get the idea. You can get also get excited by pretending the bill is a check. Whatever the amount is, add a zero to the end and imagine it’s a check made out to you for that amount. Keep track of how much you are earning each month. Do this how ever you pay your bills, whether it’s once a month or 2 times a month. This will change your vibration regarding your bills, making it a more pleasant experience. We all have habits that we wish we didn’t have. But how do we get rid of our bad habits? Anytime we resist something, what we are actually doing is bring more of that into your lives. That is why just quitting a bad habit rarely works. We are constantly resisting what we are trying to get rid of and all we can think of is that habit we want. What does work, is replacing an unhealthy habit with a healthy one. If you are addicted to sweets try replacing it with fruit it’s still sweet but it is much better for you. You will find that this becomes your new habit and you don’t even think of candy anymore. This goes along with the previous paragraph, chuck it. The difference here is you are going through your junk, all the trinkets, treasures, and stuff we accumulate over the years. It’s time to get rid of it. What you are doing is making the space for what you want to come in. Go through your closets – sell, donate, and throw away everything that you don’t use or need anymore. It is a very freeing. If you’re on social media – Facebook, Twitter, Instagram look to join groups that are sharing inspirational messages. Follow others who are doing the things you want to do. Share the amazing things you are doing to get support and encouragement. Or look for local groups on meetup that you can become a part of. If you are asking for a new car but you are putting out into the Universe that you could never get a new car then that’s what you get. You have officially attracted the feeling of wanting a new car but not actually having one. This applies to everything that you ask for. Make sure when you ask for something you know you deserve it and it’s on it’s way to you. Start surrounding yourself with people who mirror what you want for yourself. Many times we keep the same people in our social circle who we have grown up with and that’s great, but if you feel like you have outgrown your old crew it’s time to seek out a new tribe. With the internet, we can connect to people all over the world – open up your horizons and connect with new people. Many new opportunities will open up for you when you do this. Imagine your life is a movie you are watching. Did you write the script you are seeing? Are the actors who you would cast? Are you living as the star of your movie? Many of us are not. A great exercise to do is to sit down and write out your own movie script. Imagine the scene, the landscape, the actors the emotions, all of it. It is your movie you can play it however you want. So you might as well be the leading actor in your show and make it a masterpiece. Worthiness is a big issue. We all have those feeling that we are not good enough. Having a strong self-esteem is so important. It’s the most important work you can do. If you are suffering from low self-worth the best gift you could give yourself is finding help. Find someone you can work with that will help you shift that. Everything else falls into place when you feel you are worthy of all that you desire. We must learn to love ourselves as much as the Universe loves us. And Most Important – HAVE FUN!